Amazon in April 2018 revealed that more transactions were fulfilled directly from sellers than from its fulfillment centers. Some believe this improves the customer “experience,” which has become a major focus for marketers throughout the supply chain. While consumers may want greater choices in the marketplace they use most, they also want simplicity, utility, integration and value-added experiences, according to the white paper titled The State (and Future) of Digital Marketplaces, written by Altimeter Principal Analyst Brian Solis and published by Kahuna, a full-service digital advertising agency. In August 2018, about 100 U.S. adults took a ten-minute online questionnaire. Participants included advertising, consumer engagement and marketing employees at companies that have an online marketplace for products and services and 50 or more employees. Improving the experience for consumers in the study ranked among the top challenges for marketplaces and retailers, but which media and message attracts buyers to marketplaces varies. The three most effective channels, per survey participants in the study, include Facebook at 45%, direct mail and email at 31%, and search ads at 27%. The top three reasons why consumers leave the marketplace include 53% who say lack of sellers who meet their needs, 49% who cite logistical challenges such as shipping costs and fees, and 39% who say large geographic distance between buyers and sellers. Other reasons include un-competitive pricing, inability to search for the products, lack of mobile apps, and inadequate customer service. Solis notes that in a letter to shareholders published in April 2018, Amazon reported that for the first time more transactions were fulfilled directly from sellers than from Amazon's fulfillment centers. The growth resulted in products being purchased from more than 300,000 small and medium-sized businesses. 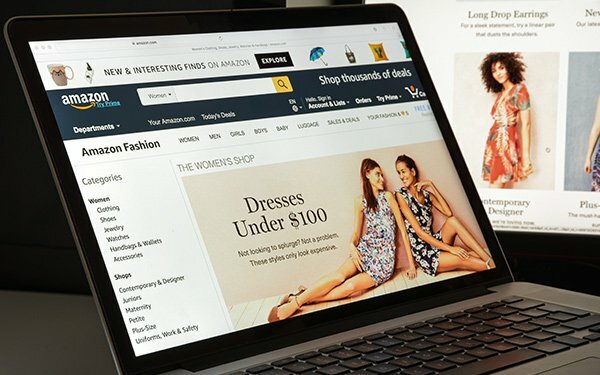 Amazon also revealed that third-party companies fulfilling products direct to customers were more profitable than those fulfilled by the marketplace. Key findings in the report include that marketplaces overall generate significant revenue, with two-thirds generating more than $50 million annually and one-third generating $100 million or more. New product launches, revenue growth and customer acquisition top the list of marketplace business objectives in 2019. When asked for participants to list their top three business objectives for 2019, 59% point to new product and services, 55% note revenue growth, 54% said customer acquisitions, 46% note margin improvements, 38% said competitive positing, 28% cite geographic expansion, and 20% cite seller acquisition. Solis, in the report, points to Credit Suisse's estimate, reported by Entrepreneur magazine, that Amazon Marketplace sales of $135 billion in the fiscal year 2018 could rise to $259 billion by 2020. "Marketplaces have become platforms and as a result, they're enhancing product and service models experiences between what sellers offer and what buyers demand,” Solis wrote. “The notion of 'growth as a service' is a big driver for sellers who are active in these marketplaces and in this retail model, if you don't have sellers you don't have a marketplace, said Kahuna CMO Jeff Nolan. Of the 100 executives surveyed for the white paper, one thing specifically caught Nolan by surprise. “Despite all the technology that exists for e-commerce, the challenges faced by marketplaces are not easily met,” he said, pointing to how buyers can become sellers and vice versa. Search engines continue to generate enormous revenue and are important to the way modern economies work because they continue to lead many people to purchase products. "What's interesting about digital marketplaces is the way they're beginning to supplant that search-engine function in the popular mind,” he said. These days more Americans begin product searches on Amazon than on Google, as eMarketer reported in September. The four top challenges marketplaces face include competitive differentiation at 39%, buyer retention at 32%, buyer acquisition at 29%, and effective social media campaigns at 29%. Shopping cart abandonment at 26% continues to haunt marketplaces and retailers. Finding the technology resources to scale growth ranks No. 6 with 23%. Customer experience, one of the top catalysts Altimeter has identified in driving advanced digital transformation, ranks No. 7 among top challenges facing marketplaces at 22%. The least challenging is lack of expertise (9%).